Important skills you should practise using in order to make the most your scientific calculator. This is an activity for you to do on your own calculator. 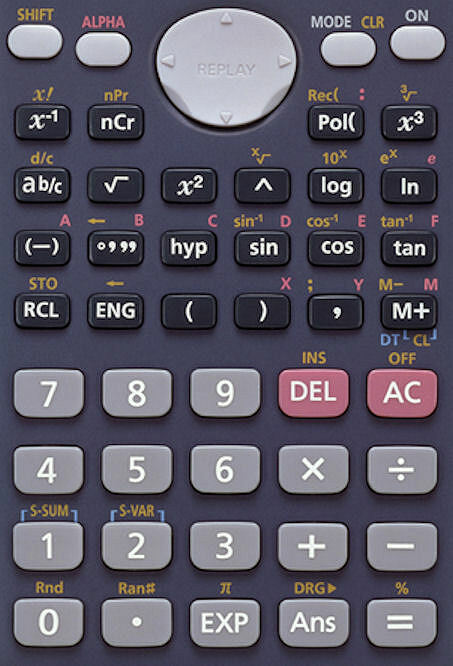 It is important the you become familiar with the calculator you will use in class and in exams. Refer to the skill list below to find the skill you would like to learn. Watch the animation and then practise answering the questions in the exercise with your own calculator. Press the number key 1 to select degrees. To initialise the calculation mode and setup, and clear replay memory and variables press . To clear the variables press . 1. To make your calculator work in degrees (rather than radians or gradians) press SHIFT the MODE. Press the number key 3 to select degrees. If you enjoyed doing this activity you might like to try some of the activities on the Calculator topic page.